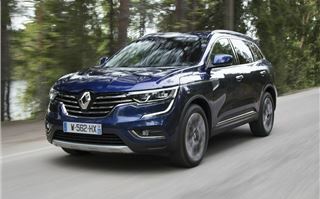 The Koleos is Renault’s largest and most luxurious SUV, which pushes it into a completely new and rather crowded part of the family car market, where comfort, practicality and value are key to success. 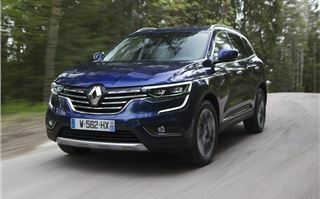 To be fair to Renault, it's done pretty good job of reinventing itself as a serious player in the SUV and crossover market over the past few years, with the Captur, Kadjar and Scenic all showing that the French carmaker can indeed mix it with the best when it comes to producing rugged and keenly priced family cars. The Koleos is built in South Korea and becomes not only the biggest, but also the most expensive SUV in the Renault range, with prices starting at £27,500 for the front-wheel drive 1.6 dCi 130 and rising to £34,200 for the more-powerful, all-wheel drive 2.0 dCi 175 Auto. 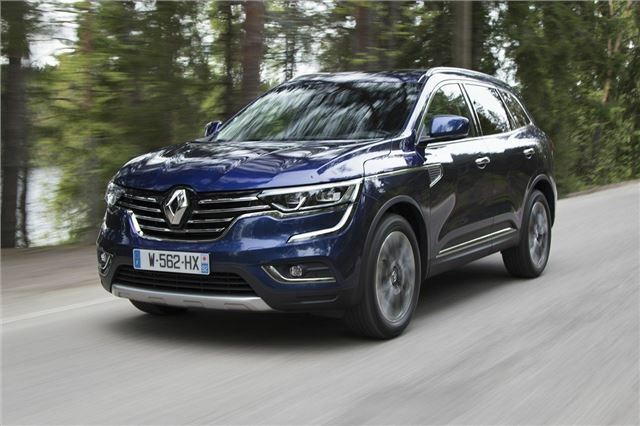 Surprisingly though, there are no petrols or hybrids in the engine line-up, with Renault claiming that drivers still prefer diesels when it comes to SUVs. Those with good memories will know that this is not the first time the Koleos has been offered to British buyers; back in 2008 the original was launched as a soft-roading crossover, but it was short lived in the UK and axed after just two years due to poor sales. 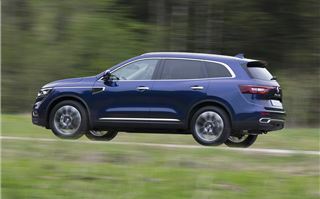 This all-new model aims to atone for that, with an upright and tough image that’s backed up by the mechanical underpinnings from the latest Nissan X-Trail. 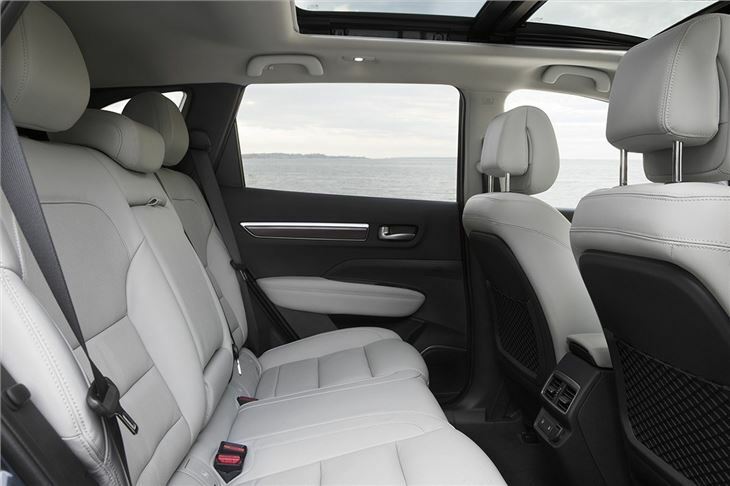 As with all SUVs, the Koleos provides generous helpings of comfort and space. There might be just two trim levels - Dynamique S or Signature Nav - but even the cheapest model gets part leather seats, automatic dual zone air con, ambient interior lighting and a parking camera. There's also an opening panoramic sunroof and acres of interior space, which means two large adults can stretch out in the rear without having to ask those in the front to move their electronically adjustable seats forward. While standard equipment levels are high, with all cars getting cruise control and smart cup holders, that can heat or cool drinks, the Koleos does fall a little short when it comes to autonomous safety kit, especially when compared to the X-Trail. For example, there is no autonomous cruise control or rear cross traffic alert system - which warns the driver of approaching traffic when reversing - while Nissan's ProPilot autonomous driving tech is also missing from the options list. The 498-litre boot is smaller, compared to the X-Trail's 565 litres, and the split tailgate - a feature of the original Koleos that we really liked - is also missing, which means you can’t open the top half of the boot to load/unload things when parking space is limited. 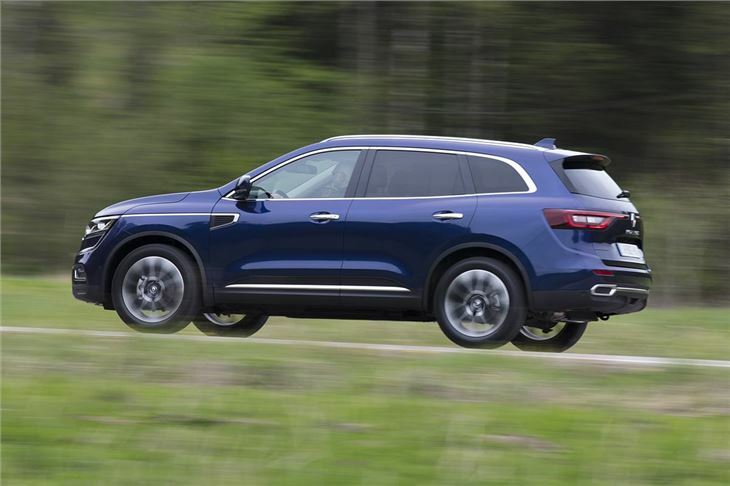 Owing to its advertised 57.6mpg and 128g/km of CO2, most buyers will choose the Koleos with the two-wheel drive dCi 130 diesel as this is the most-efficient powertrain in the range. In comparison, the four-wheel drive dCi 170 returns an official 50.4mpg, or less if you specify it with the seven-speed CVT auto. However, almost all versions will tow two tonnes, while the CVT is limited to 1650kg. The six-speed manual gearbox and 1.6-litre diesel are more than up to the task though, with smooth gear changes and plenty of low-range torque, which makes it easy to trundle through town in a high gear, without overworking the engine. All-round visibility is also excellent and things are peaceful and relaxing on the motorway, with both engine and wind noise well suppressed. Only those who spec 19-inch wheels will notice higher than average levels of road roar. As with most SUVs, the handling is more compliant than compelling, with light but lifeless steering that feels safe but distinctly uninvolving. The suspension does a good job of minimising bumps in the road though and there is never any real lack of grip in the corners, which is good given the car's considerable bulk. In town the Koleos is surprisingly nimble, with a decent turning circle that makes it painless to wedge it into a parking space. Admittedly, at 1.8 metres wide, you need to keep your wits about you on a narrow street, but the rear view camera does a pretty good job of covering the blind spots when it comes to parallel parking. 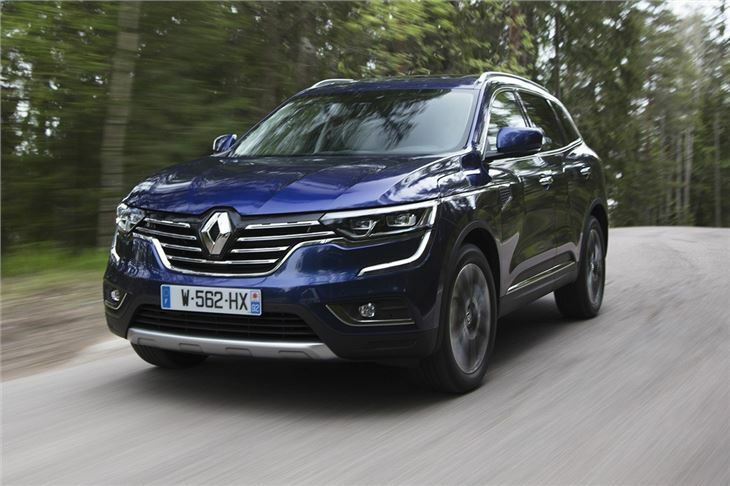 As a family car proposition, the well-equipped and distinctively styled Renault Koleos has lots in its favour, with impressive level of standard kit and large interior being its trump cards. 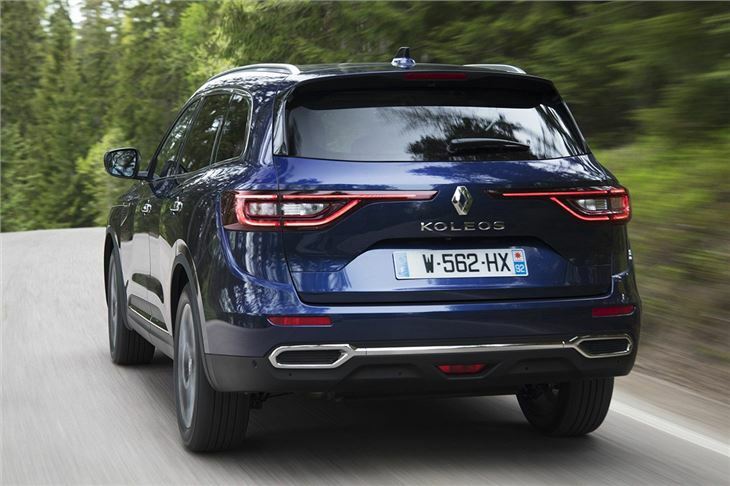 However, while competent, the Koleos doesn't excel in any particular area and, with prices starting close to £30,000, it's pitched against the highly accomplished Skoda Kodiaq, Nissan X-Trail and Peugeot 5008. In our view, all three are better all-rounders, even if they struggle to match the Koleos for standard kit. 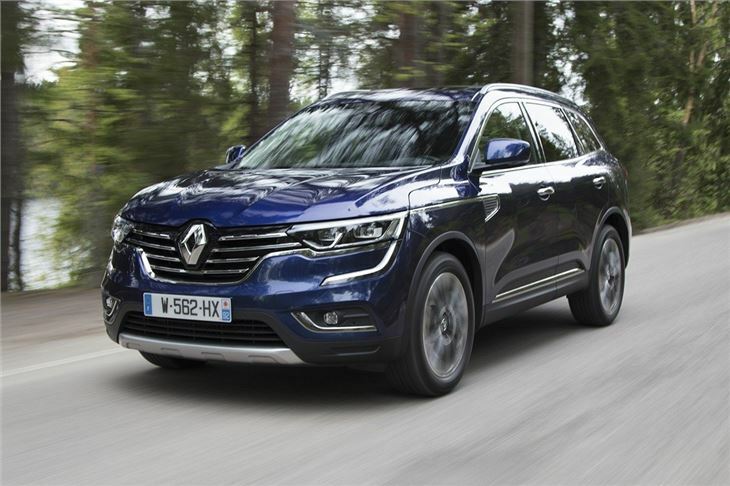 The Renault Koleos is on sale now, with deliveries commencing in July.